Wow! Going to be a great fight as our own Ben “Smooth” Henderson takes on Jim Miller in Milwaukee, WI on August 14. 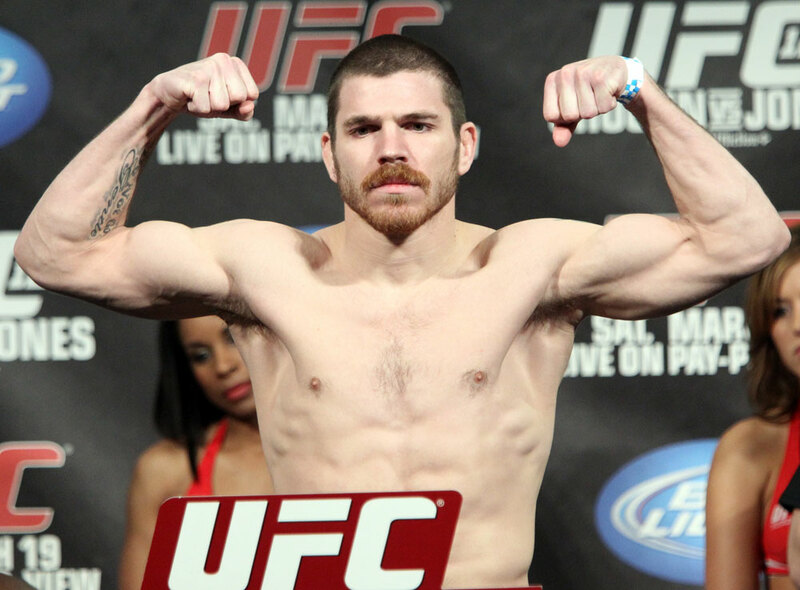 Jim Miller is on a 7 fight win streak and is one of the great lightweights out there and Ben is a previous WEC title holder who burst on the scene in the UFC with a dominant win over Mark Bocek. This has the earmarks of a great fight and we are excited to be part of it. 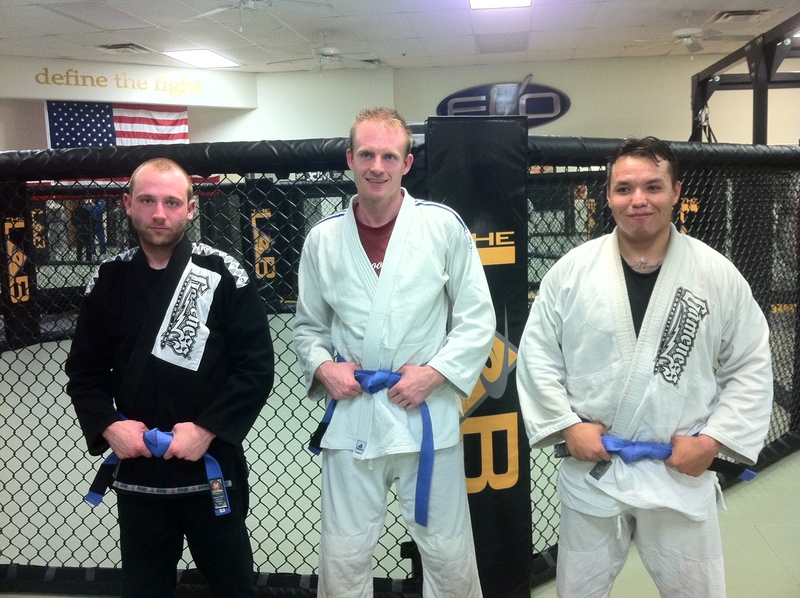 We would like to congratulate our 3 newest Blue Belts at the MMA Lab; Brad, Zach and Michael. These guys have worked really hard and their promotion is well deserved. Congratulations guys, it is great to have you on our team! Last night, at Tachi Palace 9, Efrain “Hecho en Mexico” Escudero fought his heart out but lost a close fight to Fabricio Camoes. The fight was tough and close, “Morango” getting the better in round 2 and Efrain clearly winning round 3. It came down to a hotly contested first round and Fabricio came out on top. We are so proud of Efrain and his great effort last night. Beaten but never defeated, we will be back soon. Check out the behind the scenes video we made and thank you for all your support. Efrain made weight today at Tachi Palace and is ready for his fight with Fabricio Camoes. He has been training hard and we are all excited for this tough matchup. The fight will be streamed live on Sherdog.com @ 7 pm west coast time. Here is a video of the last few days of preparation and the day before the fight. Hope you enjoy it! Hey guys, I just wanted to take a minute and send a huge “thank you” out to one of the very best people I have ever met; Chris Zubrycki. 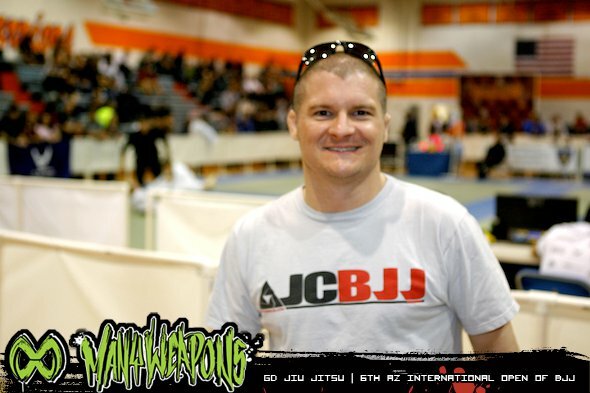 Chris has been the real engine behind the success of the Jiu Jitsu program at the MMA Lab for 4 years now. This guy is is in the gym 6 days a week, teaches classes, practices with the Lab Elite fight team, organizes the competition team, films every sparring session and generally does whatever needs to be done. I cannot imagine doing what we do without him and I am so grateful to him for all the valuable work that he does. Z, you are the man, thank you so much! Chris Zubrycki is back with one of his favorite half guard sweeps. This is a good one and Chris has used it quite a bit. Hope you guys enjoy it. 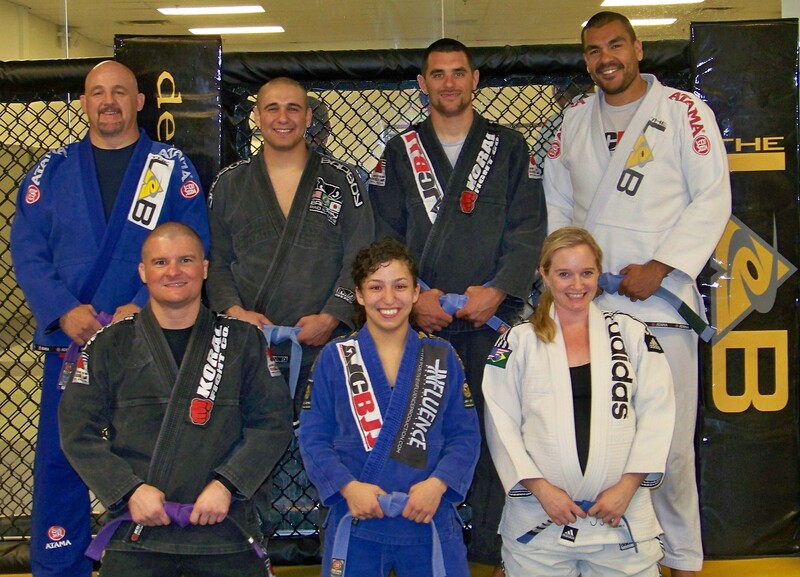 MMA Lab Kids JiuJitsu Instructors: Awesome! We wanted to take a minute and introduce you to some people who are making a huge difference in kid’s lives; The MMA Lab kids instructors. Behind the leadership of Chris Zubrycki, the kid’s program has developed into a competition powerhouse, winning last year’s state title and doing really well this year with a first and second place finish. The most important thing that these guys instill is the idea of having fun in class and in competition. We at the MMA Lab are very fortunate to have these wonderful people helping us, and wanted to take a minute to give out some well earned praise.